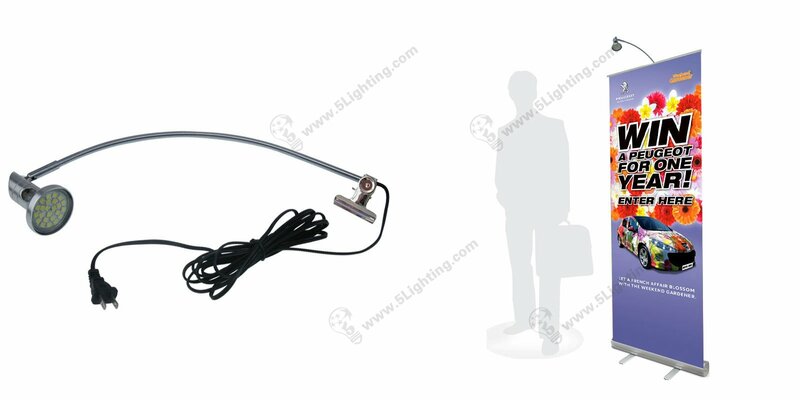 LED banner stand light JZL013, roll up led display lights banner spotlights. 5 Watts Roll up stand LED Display lighting for Exhibition Retractable banner stand. 5. Extremely durable, the working life is up to 50000 hours.